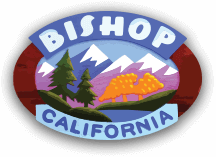 Millpond Recreation Area is one of Bishop’s best kept secrets. It is a wonderful area that includes a baseball field, two playgrounds, tennis courts, horseshoe pits, lots of open grassy areas, and the pond, which has good swimming access, fishing, as well as a handicap accessible dock. To schedule the use of the softball fields for play or tournaments contact Brown’s at (760) 872-6911. There is access to Browns Millpond Campground from the Millpond Recreation Area. Every September the Millpond Music Festival is put on by the Inyo Council for the Arts at the Millpond Recreation Area. Musical groups travel far and near to perform in this picturesque venue. It is a great family-friendly event and one worth checking out. A number of camping areas open up within the Millpond Recreation Area, for both RVs and tent camping. Millpond is located on Sawmill Rd., 6 miles northwest of town.